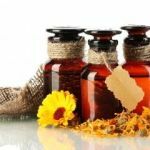 The Eucalyptus tree may conjure up images of the cuddly Koala bear, which subsists on a diet of eucalyptus leaves, but in fact eucalyptus oil has many and varied use related to medicinal, curative therapeutic, and hygienic applications. Eucalyptus has antibacterial properties which act on bacteria and also have anti inflammatory effects so that it helps with treating bronchitis. Even the simple home remedy of putting a few drops of eucalyptus oil in hot water for steam inhalation is very effective to relieve a blocked nose and other cold symptoms. Eucalyptus oil is thought to act as a curative agent also because it stimulates the immune system of the body, helping it heal and fight off infection. Due to the anti inflammatory properties of eucalyptus oil it is also used as a pain relieving analgesic and also to formulate liniments that are applied topically for pain management. Dental care is something else that eucalyptus oil is very useful for, again for its antiseptic properties. The antimicrobial properties of this oil also make it useful to apply to minor cuts and wounds to prevent infection. Eucalyptus oil is a natural insect repellant and is a very effective bio-pesticide. It is also useful in asthma management, since it is known to kill dust mites, which are one of the main triggers of asthma attacks. The distinctive, fresh, sharply clean smell of eucalyptus oil makes it an ideal addition to perfumes, soaps, detergents and lotions. Again due to its distinctive fresh smell and antimicrobial properties, it is a popular addition to items such as toothpaste, chewing gum etc,. For certain baked goods, confectionary, meat products, as well as several beverages, eucalyptus oil in very small proportions may be used. It is used as a flavoring agent as well as a natural preservative to fight against spoilage. Adding eucalyptus oil to a load of washing can help your clothes become germ free and smell nice. It is an excellent deodorant for the inside of your cupboard, the car and so on. So if you have a fragrance sachet that has exhausted itself, you can add just a few drops of eucalyptus oil to revive it! It can also be used as a general disinfectant around the home. It can help clean stainless steel. It is a natural pesticide that will protect your plants from pests. Used in a diffuser, it will impart a lovely smell to the room. 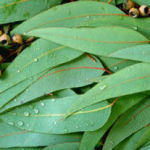 Eucalyptus oil is a good oil to use in baths or massages for muscle aches and pains or if you’re just feeling run-down. For a bath, try 3 drops of Eucalyptus and 3 drops of Lavender essential oil blended into a base oil (or full-fat milk, aromatherapy books keep saying milk is a good base for a bath blend but I’ve never tried myself) whenever you are feeling tired, achy or about to get a cold.